Quick! You’ve got less than a minute to convince me your story is worth my time. What do you tell me? You’ve got to pique my curiosity with mystery and potential, while still conveying the bulk of the plot, theme, and general tone. No problem! you say. But when you sit down to actually figure out how to pitch your novel in such a stellar way, you realize these two ingredients aren’t necessarily going to be compatible within the confines of such a short description. Your story’s hook and your story’s heart aren’t the same thing. What your story is really about–its heart, its core–may not be its hook at all. Fortunately, when you realize this, it suddenly makes the whole job of cramming both into your pitch or back-cover summary about a mega-billion times easier. This revelation goes beyond just learning how to pitch your novel in the most effective way. 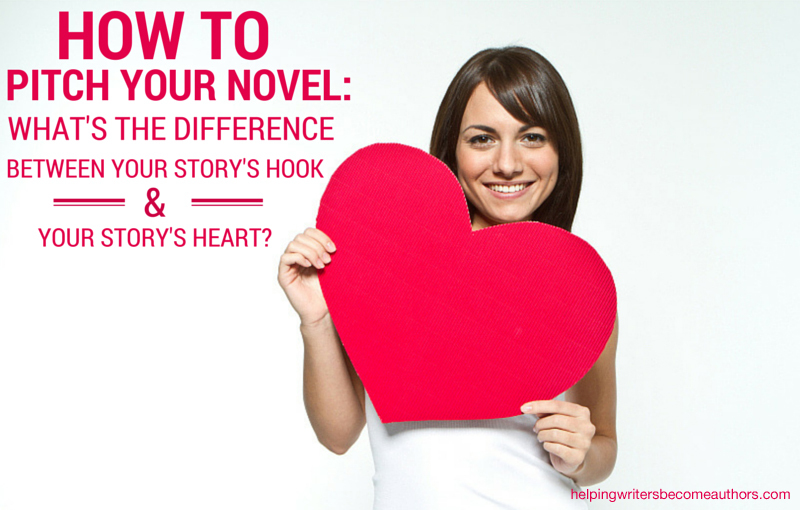 The differences between your story’s hook and your story’s heart will affect every page you write. The sooner you figure out which is which–and how to best optimize them both–the better your book will be. What Is Your Story’s Heart? Your story’s heart is what it’s all about, way down at its center. This is the soul of your story. If it’s a love story, a thriller, a coming-of-age story–that’s going to be a fundamental aspect of your story’s heart. But we’re talking more than just genre here. 1. Why are you writing this story? If the answer is, “I love romance” or “I want to make a difference in young people’s lives” or “I had an idea for a political drama set on Mars”–then that’s a great starting place for identifying your story’s heart. Maybe that was the exact answer Paul Volponi gave regarding his YA novel Rikers High. It’s a snappy summary of his story’s main thrust. Other stuff happens in his book, but this is the point. This is the heart. You’ll notice these are all very streamlined descriptions of these stories. They don’t incorporate subplots or plot twists, because those things are ultimately extraneous trappings to the true of heart of their stories. When you’re pitching your story, don’t worry about the extras. Just focus on the true essentials. Really think about your novel’s hook. What makes it stand out? How is it different from all the other novels in my inbox? The hook is what grabs people’s attention. We’ve all read coming-of-age stories. We’ve all read ill-fated love stories. We may even have read stories about kids in juvenile detention or teenagers killing themselves for love. These ideas may be at the heart of some really stupendous stories, but without a hook to grab curiosity, readers will never take a deeper look. 1. Why should the reader care about this story? This is the whole reason the hook even exists in the first place. If readers were automatically going to be interested in any ol’ thing you wrote, you wouldn’t need to bother with the hook. You could tell your tale and trust that readers would share your interest just because. Sadly, it doesn’t work that way. So why will readers think this story is interesting? What will make it stand out from the rest of the coming-of-age stories and tragic love stories? 2. What is the single most interesting and unique element in this story? You may be stumped after that first question. Lots of us are. We don’t always start writing a story because it’s unique or has a built-in hook. We’re writing it because we love its heart. And we do love it. But you have to take a look past the surface reasons. Why did you need to write this story? Why couldn’t you just go read Romeo & Juliet and call it good? Start looking for the single most interesting element your story has on tap. To narrow that down yet some more, consider what’s unique about your story. More often than not, that’s where you’ll find your hook. So what are our original example stories’ hooks? Reflex: A man can jump through space. That’s relatively unique, even amongst our glut of superhero stories these days (especially in comparison to, say, super-strength). Even better? This potentially super-powered story doesn’t follow any of the obvious plot tropes from the comics. It’s not about a superhero using his powers to save the world. It’s about a freak being hunted, tortured, and having to figure out how to save himself. 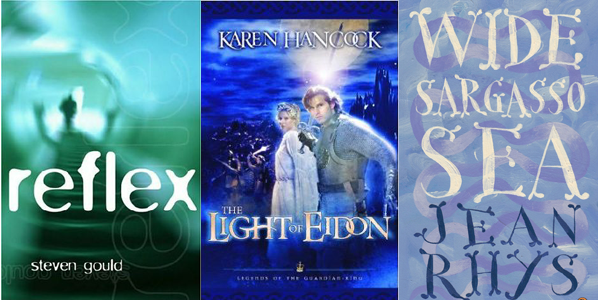 Light of Eidon: Consider the elements this story offers: a prince, a weakling, a gladiator, a warrior, a faith crisis. In themselves, none of these are too unique. But combined, they offer some pretty interesting mashups. A weakling prince as the hero? Don’t see that one very often. A captured prince fighting as a gladiator? Nope. (Although, of course, it’s a different story when it comes to captured generals fighting as gladiators.) Throw in that crisis of faith (which is really the heart of the story), and suddenly some extremely interesting possibilities begin to surface. Wide Sargasso Sea: This one has an instant built-in “unique factor”: it’s a prequel to Charlotte Brontë’s Jane Eyre, told from the perspective of the mad wife in the attic. This one’s almost cheating, since the hook is built right into the premise. But, of course, it’s really not cheating at all. We just feel that way, ’cause it makes the rest of us look bad. 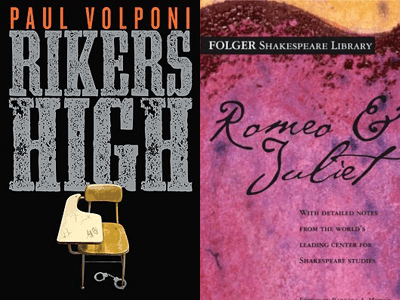 Once you’ve got your story’s hook figured out, you may be able to work it right into the description of your story’s heart (as in the descriptions of Rikers High and Romeo & Juliet above). If you can, so much the better, since that practically answers our next question for us. How to Pitch Your Novel: Hook First or Heart First? Now that you’ve differentiated your story’s heart and its hook–and narrowed them both down into short and specific tags, which should come first in your sales pitch to an agent or reader? The hook always comes first. Remember: nobody’s going to care about the heart of your story until you convince them to. And the only way you’re going to convince them is by first hooking their curiosity. For that, you’re always going to want to give them your best shot right away. Present that most interesting and unique thing about your novel right up front. Don’t save it. Give it to them straight. If you can’t grab them right away, you’re sunk. So bring out the big guns! Depending on the medium you’re working in (query letter, synopsis, back cover copy), you may be limited in how much space you’ll then have to share the heart of your story. In some instances, it might not be necessary to include it all. All you really care about is reeling people in. They can discover your story’s heart when they read the book! Once you have your story’s heart and your story’s hook well in hand, you’ll be ready to meet any potential agent or reader with confidence. But don’t wait until then! Figure this stuff out before you ever start writing your first draft. Doing so will help you focus on what your story is really about and empower you to build a heart and a hook that will live up to any sales pitch. Tell me your opinion: Have you ever been confused about how to pitch your novel in a way that includes both your story’s hook and its heart? I found this very useful, I never really considered the hook before. I wish I had it much sooner. At least now, I have some ideas on how to pitch my next book. Yep, we have to hook agents’ attention just as we do our readers’. Enough times, when writing a query letter I’ve found it difficult to produce a synopsis. The same though would be case for anyone in the same shoes. Any person who’s had to grow so close to their world and to their characters will inevitably find it difficult taking back the necessary steps, assessing what their hook should be. But therein lies the solution! As the very same coin’s opposite face, being “so close”, being so “knowingly attached” to your story will also inevitably mean your knowing how to hook it. It will be there! Your intimate knowledge and your deep emotions will eventually bring you to it. Querying is a tough one for all of us. It’s a totally different artform from the novel, so it’s no wonder so many of us end up pulling out our hair! I could answer that better if I could just figure out the answers to all those questions, LOL. Know my story? Absolutely. Love it? in every possible way. Have any idea how to answer questions about how on earth to figure out what OTHER people might think is unique or interesting? Nope. Not a clue. I find it helpful to identify a single person, whom I personally, who more or less encompasses my target audience. Ask yourself what that person would think. That is a really great idea! I love the idea of pretending to talk to one person (who represents a whole audience). Thank you for this. I just found your website and am so thankful I did! I’m *literally* just starting out and have an idea for a book. I’ve written some but also doing research to help fill out the context. I’m going to use these questions to help me with my outline and hopefully be a bit ahead of the game. Good for you! Despite the title, these are definitely great principle to consider in the outlining phase. K.M… I think I’ll drop everything now and consider the “pitch” for my nearly completed book. It’s time to start blitzing the publishing world. Hook and Heart — glad to see the challenge distilled down to its essentials. In filmdom we talk of the “elevator pitch” — you know, you might find yourself in an elevator for 15 seconds with Harvey Weinstein. It happened to me once — in the elevator with the head of TeleFilm Canada. I had 30 seconds, after which he told me to have my proposal on his desk Monday morning. Two weeks later a cheque for $20,000 to write a first draft. Yes, indeed! I’m going to work on my pitch. Thanks for the kick in the pants. I’m a new author . My publisher released my 1st book 12/1/14 and my third will come out 1/15/15. There is such an incredible amount to learn but I’m finding great sites to study… yours is very, very nice. Thank you for this post! I’ve been struggling to find a way to describe the difference between these two concepts. The temptation to start with the heart of the story is almost overwhelming because it is what I as the author care most about. However, you are right. It is not about me. It is about the person whom I want to care about my story. I agree: the heart always beckons us. And it should also end up beckoning readers by the time they get into the story. But it will rarely be the reason they *start* reading it. Writing back cover promo is actually a GREAT way to get better at writing great queries. Another excellent post! I love the concept, and the examples – Heart/Hook is a great 1-2 “punch” for promoting your book. I so love this post !!! Writing queries and promo material is an art form unto itself. Anything we can do to simply our understanding of it is a good thing! Can you explain the difference between “hooking somebody” verses “ruining the suspense of your story?” When are spoilers okay? A good hook creates curiosity, so by its very nature it’s all about *not* spoiling the story. If we tell readers what’s going to happen, we instantly burst the bubble of their curiosity. That said, when it comes time to write your synopsis, don’t be afraid of spoilers. At that point, you want to tell agents your entire story, so they can get a feel for whether or not your story is able to sustain itself from beginning to end. Thank you for this extremely helpful tool. I’m using it right now to begin assembling my queries! I ‘m still a little confused. When you describe and show authors examples on the hook and the heart. They sound the same to me. Is there anyway you can simplify it. What is the main difference between the hook and the heart? Sometimes they are the same. The simplest way to look at it is like this: the heart is the essence of your story (e.g., “it’s a love story”); the hook is what makes it interesting (e.g., “it’s an alien love story”). A lot of thanks! Really useful help us newbies writers doing a query letter 🙂 Seeing one is a thing, but directing us in our history and truly built it … wow! I’ve been working on a powerpoint for the writing class I’m teaching, and this was exactly what I needed! We’re going to be talking about query letters and this breakdown really helped me while I was working on my explanation of the hook. Thank you! Great! I’m so glad it was helpful. I made the “mistake” of looking of how to query while I am in the middle of a manuscript. I say mistake, simply for the fact that it is now all I can think about and it takes away my focus on the manuscript. In some ways, it is good because I feel like if I can nail down the hook and heart, it will help me in finishing. On the other hand, though, I’m obsessing a bit. I’m having trouble with finding the hook. At the moment, I think the heart COULD be the hook but wonder if I’m too close to it. This is the heart: a young woman that has been enslaved all her life has the chance to earn her freedom, but when the price is her own father’s life, she has a choice to make. Is that sufficient for a hook as well? Or should I dig deeper? Looks good! Only other thing I’d like to see is a specific detail about why or where she’s enslaved, to ground the setting. I’ve been thinking how to best convey (briefly) that point since why is a big part of the whole story so I don’t want to spoil anything, but would adding something like this work? A young woman that has been enslaved all her life has the chance to earn her freedom, but when the price is her own father’s life– a father that she only knows from her dead mother’s stories– she has a choice to make. Yep, I like that. It’s just specific enough to make readers really wonder. thank you, this is really helpful. i’ve struggled a lot with pitching in the past (just finalizing my first book) & have literally described it as “a girl with no arms has robotic arms attached & after that everything changes. it’s got robots, aliens, cybernetics, basically all of your typical scifi stuff.” & looking back on that description now i just want to smack myself, lol. while i have tons of heart in my story & obviously feel strongly about it, i guess i have a hard time conveying that when talking about it (especially in person) but i will try to use these tips & write out some guidelines so maybe i won’t sound so silly in the future :p thanks again! Hi Ms. Weiland, Could you help me with something? In your discussion of narrative openings, you emphasize questions and the corresponding need for answers. In considering this need to know about the lives of strangers in the story and on the screen, why should we be remotely interested with the characters in the story or on a screen. I mean, we see strangers everyday, and most of the time, they don’t catch our attention…so why should fictional characters make any difference? First of all, we can always presuppose a degree of reader interest simply by the fact that they’ve picked up the book to begin with. If they weren’t interested in reading about strangers, they wouldn’t have purchased the book. But beyond that, it’s the author’s responsibility to make the reader care, and we do that via these hook questions. We need to create an interesting element, a contradiction, a juxtaposition that grabs readers’ attention. There’s always something out of the ordinary in an interesting book’s opening character or situation.